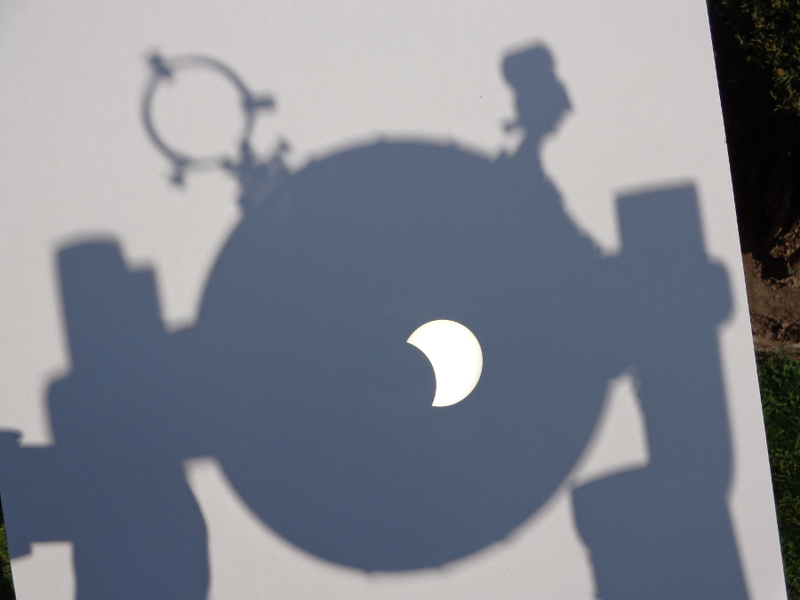 Today the Universe treated us to a superb view of a partial solar eclipse. The only solar eclipse I had previously witnessed was in August 1999, where the path of totality crossed Europe, the Middle East and the Indian subcontinent. We were on holiday in Majorca at the time, where only about twenty percent of the Sun was obscured, yet the startling image of the Moon partially blocking the Sun remains a powerful memory. Needless to say, I was very excited at the chance to see this rare phenomenon. Although I knew the solar eclipse was approaching, my visit to Toravere Observatory almost immediately followed by a brief trip to Ghent, meant I had no time this week to properly organise my observing strategy. 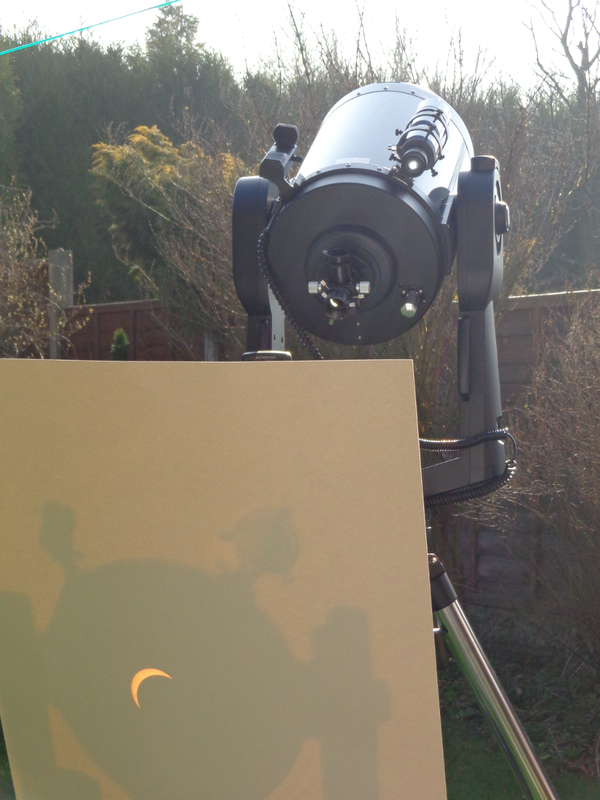 Of course, you can’t observe the sun directly and must take precautions to avoid damaging eyes and camera lenses, but by Thursday it was already too late for me to either make a custom solar filter or simply buy one, and rushing round the local supermarkets to find some eclipse glasses proved fruitless. Defeated, I resigned to instead try out the telescope projection technique or just view reflections in water. This morning started off overcast, yet after many prayers to the great sky gods asking for clear skies, the clouds completely cleared and I raced to set up my telescope. 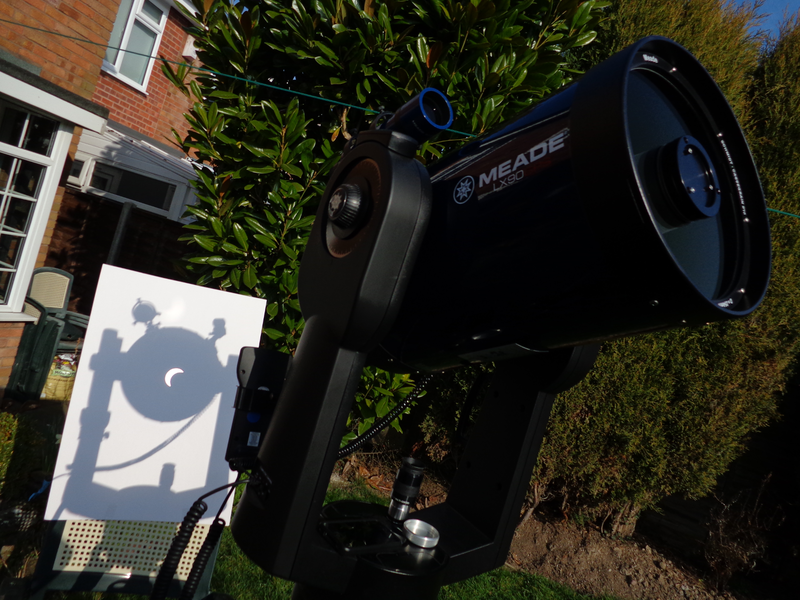 As I’ve wrote before, I love my 12-inch Meade LX90GPS but the overlapping region of the Venn diagram depicting “At Home In UK”, “Free Time”, and “Clear Skies” is extremely small, leading to a highly limited amount of usage. 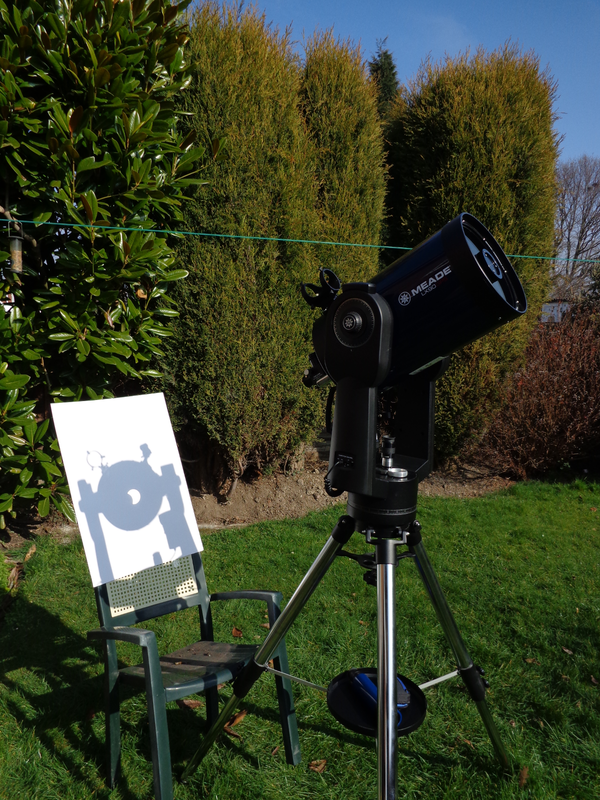 Fortunately, I was in the right place at the right time, and quickly set my scope up to project the Sun’s image onto a piece of white card. 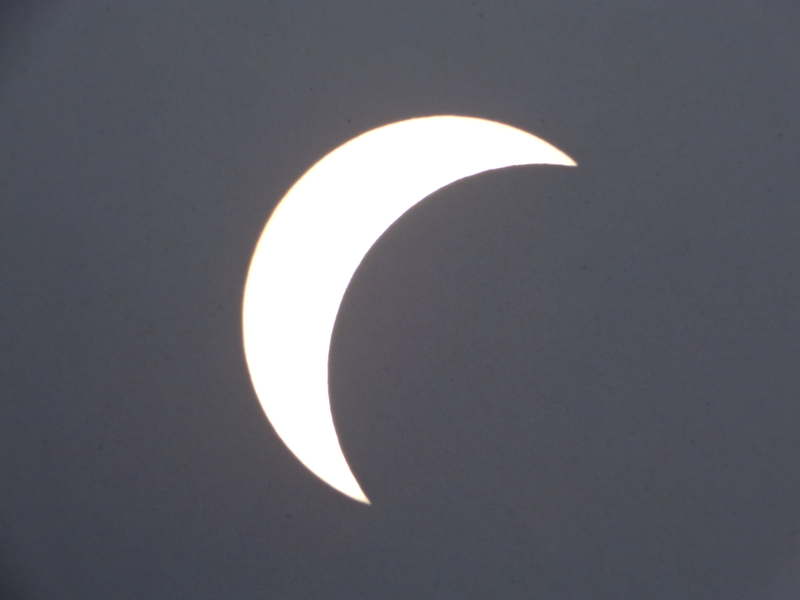 From my location in Tamworth, the eclipse started at approximately 8:26 am, reached maximum partial eclipse at 9:30 am and ended at around 10:40 am. 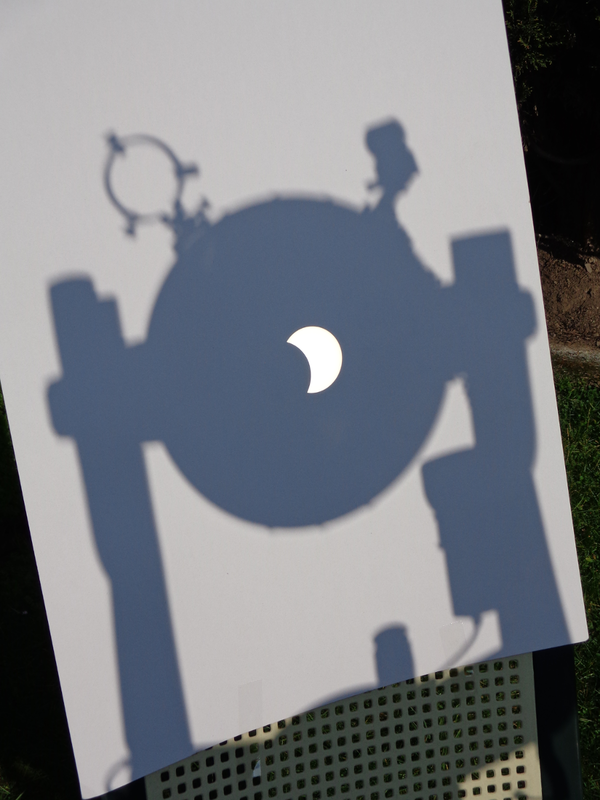 I crudely calculated that 90% of the Sun was obscured at maximum eclipse (with a few percentage error). 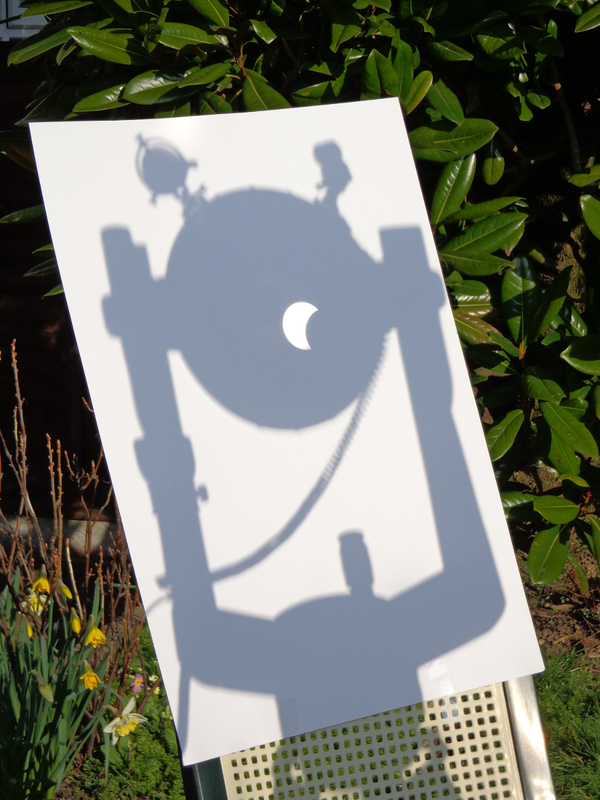 Without a proper solar filter, I didn’t dare try connecting the camera to the eyepiece, but I managed to take some nice images of the projected images. I’ve included some of my favourite images representative of the different stages of the eclipse below. 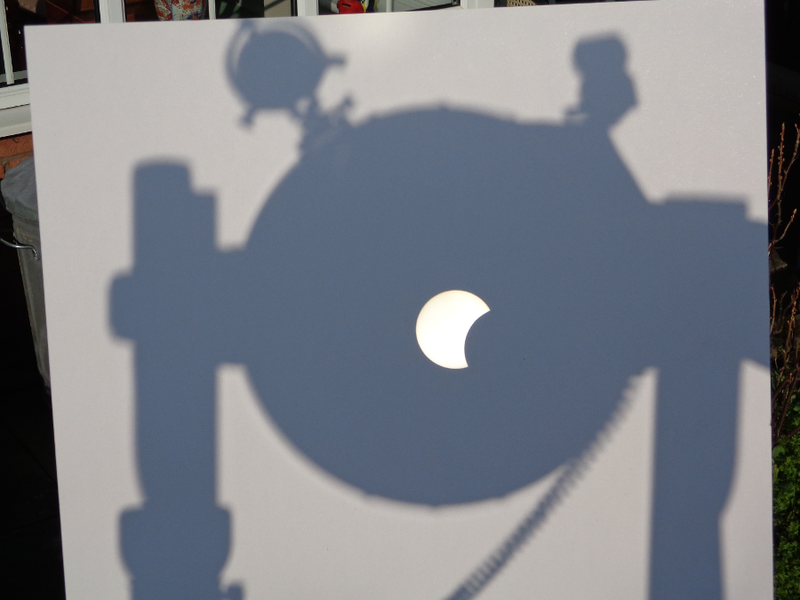 A couple of the eclipse images also include the active sunspots. 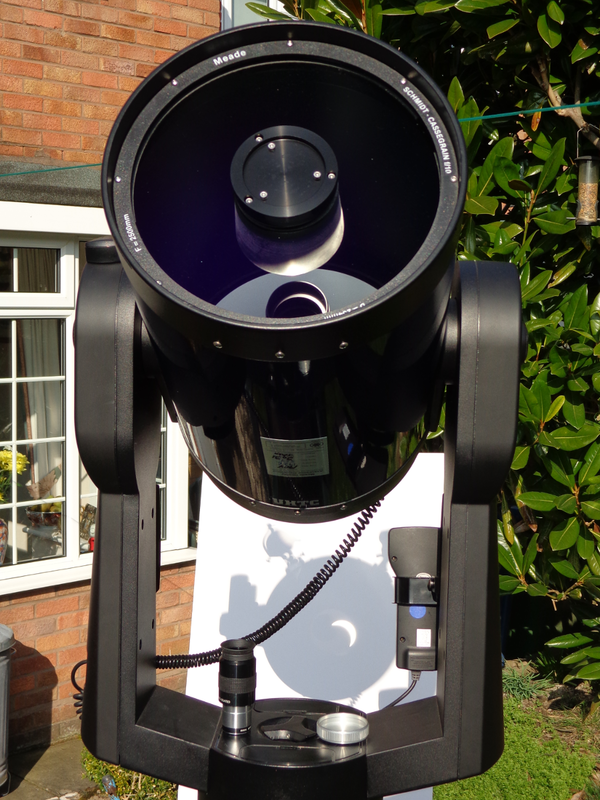 I’m pretty thrilled Birmingham received near-perfect clear skies to witness this event in full, especially given the long wait to the next partial solar eclipse in the UK, due in August 2026. However, the impatient can head to North America in August 2017, where observers will be treated to a total eclipse.